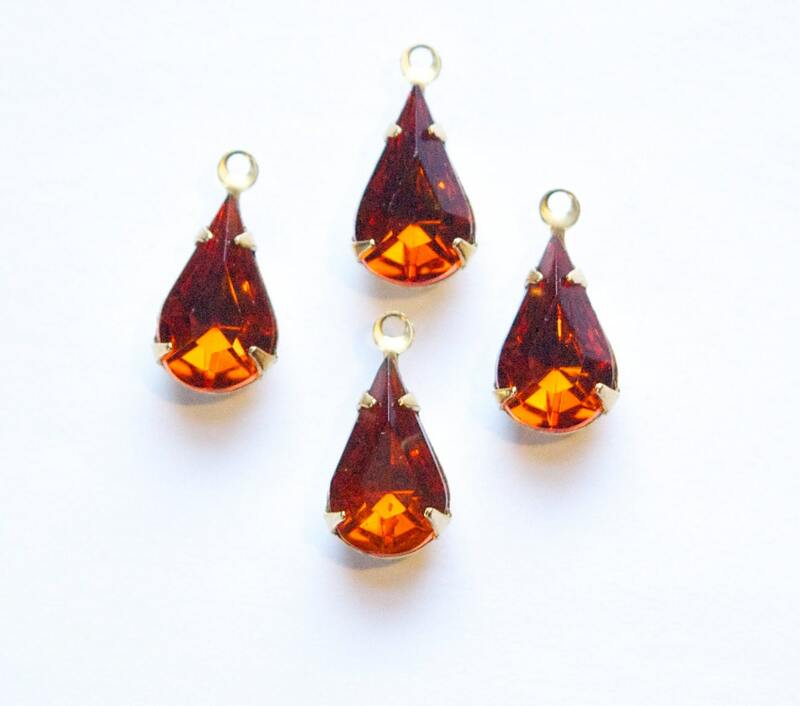 These are vintage faceted glass Madeira topaz stones set in a one loop brass setting. The stones measure 13mm X 8mm. You will receive 4 of these. Arrived VERY quickly! Thank you. Such an unusual color, and I love them.